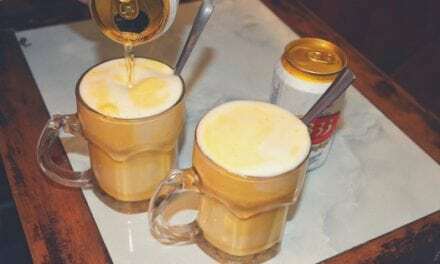 Have you ever heard about Holloko? No? Don’t worry, you’re not alone. 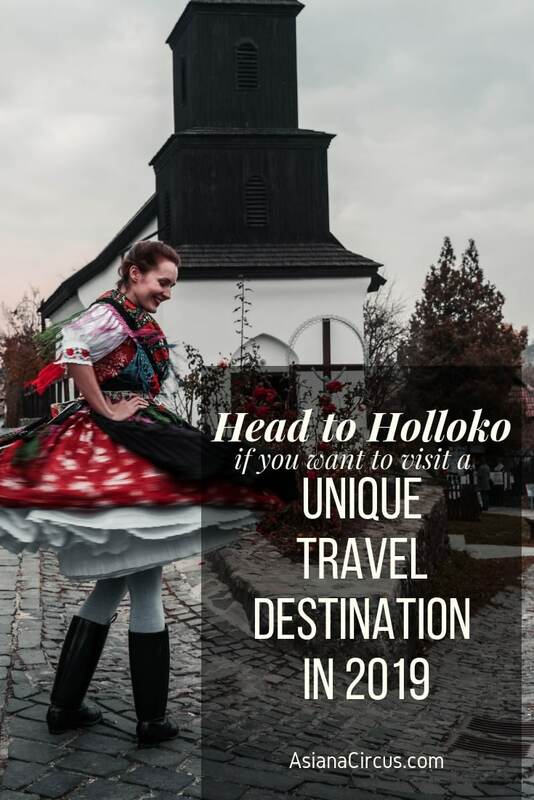 Holloko (Hollókő) is a lesser-known but a wonderfully unique travel destination in Hungary. 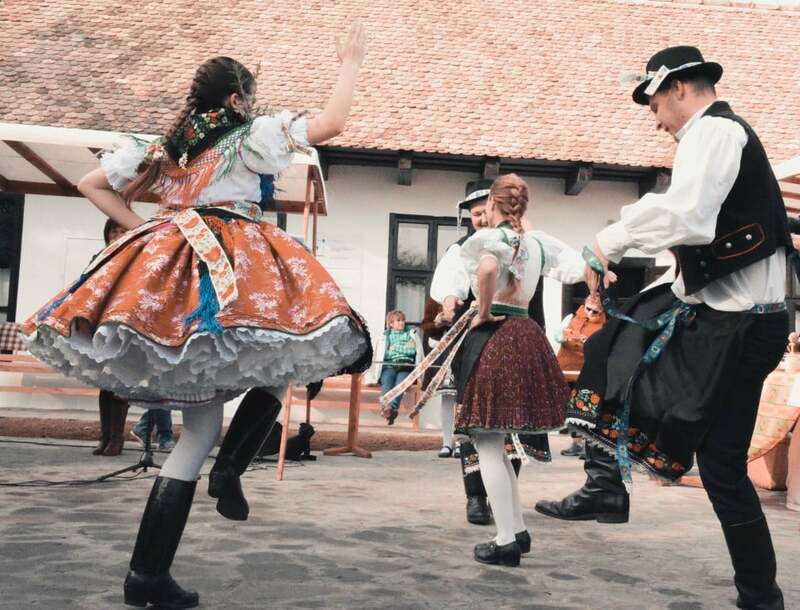 Explore this beautiful UNESCO World Heritage Site to learn about Hungarian folklore & culture. 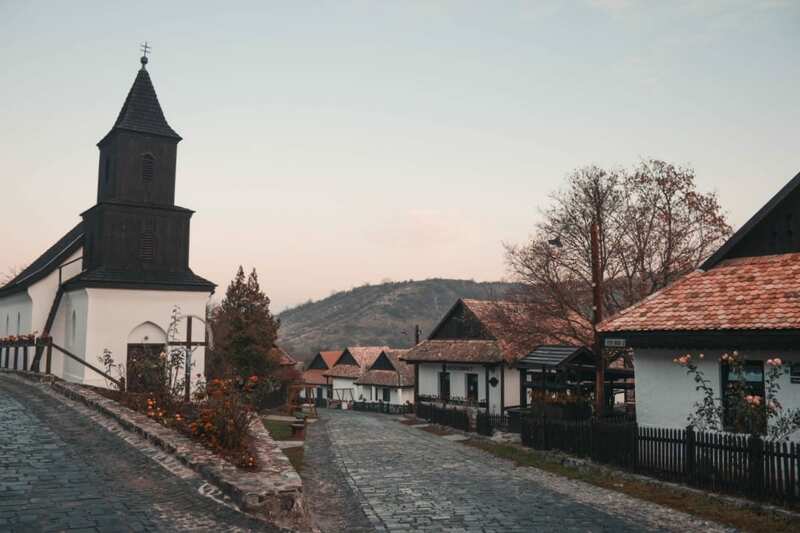 Cobblestone streets and the St. Marton Church. 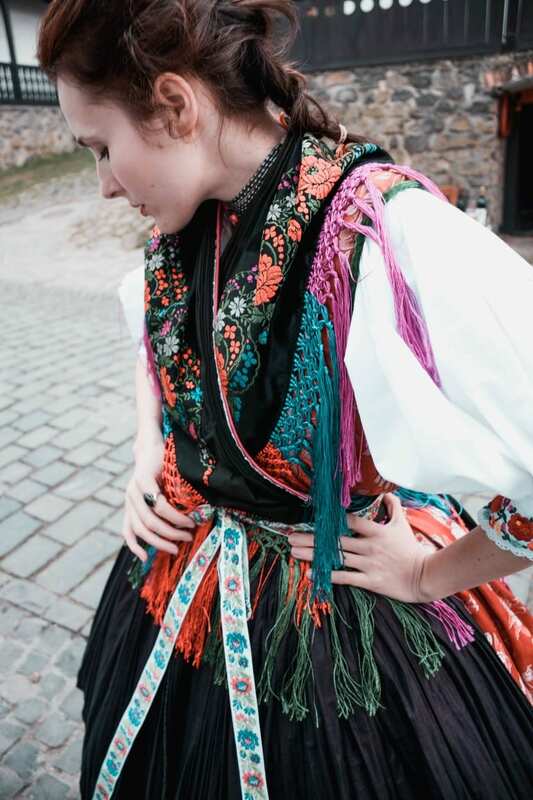 Local Lady wearing traditional Hungarian folk costume during St. Martin’s day festival. Holloko should be on your 2019 bucket list for many reasons. It’s a special place not only because of its cultural importance but it’s a fun place to visit for foodie travelers as well. 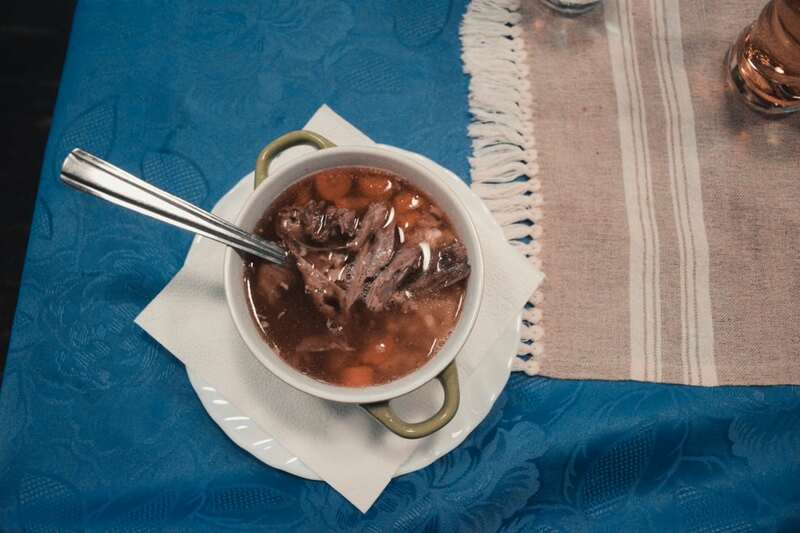 You can try traditional Hungarian dishes in an authentic setting while staying on a budget. 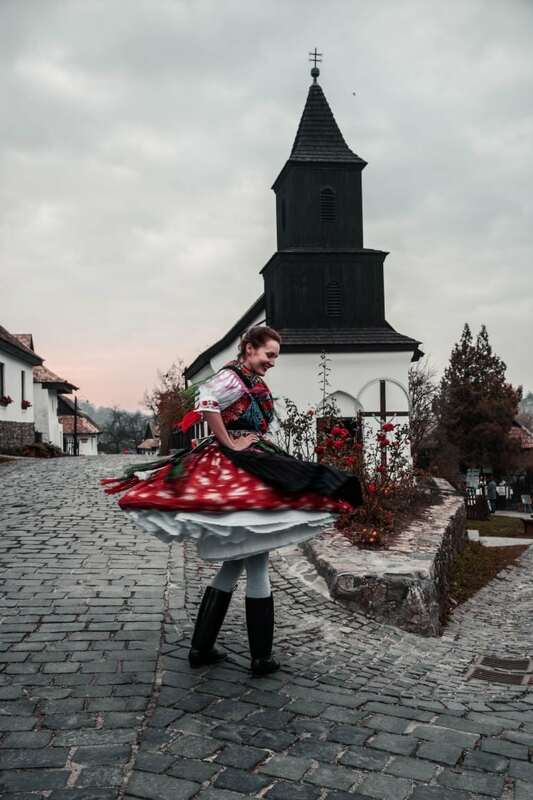 You’ll be able to enjoy hundreds of years old homes, shops, museums, a castle, and you can also wear handmade, traditional folk costumes, or experience Hungarian Folk Festivals while exploring the village and the bewitching nature around you. 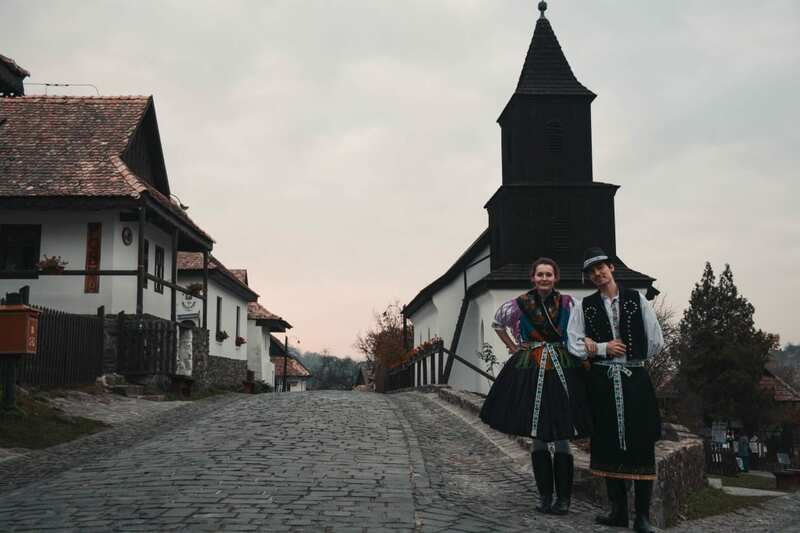 Holloko is a beautiful, traditional little village which developed mainly during the 17th and 18th centuries and is a living example of rural life in Hungary before the agricultural revolution. The proud and passionate residents of Holloko were able to preserve and flourish its authenticity and history throughout the years. Now they’re ready to share its unique treasures with visitors from all around the world. Where is Holloko and how to get there? Hollókő is about 100 KM (60 miles) North East from Budapest which is about a one and a half hour car ride. 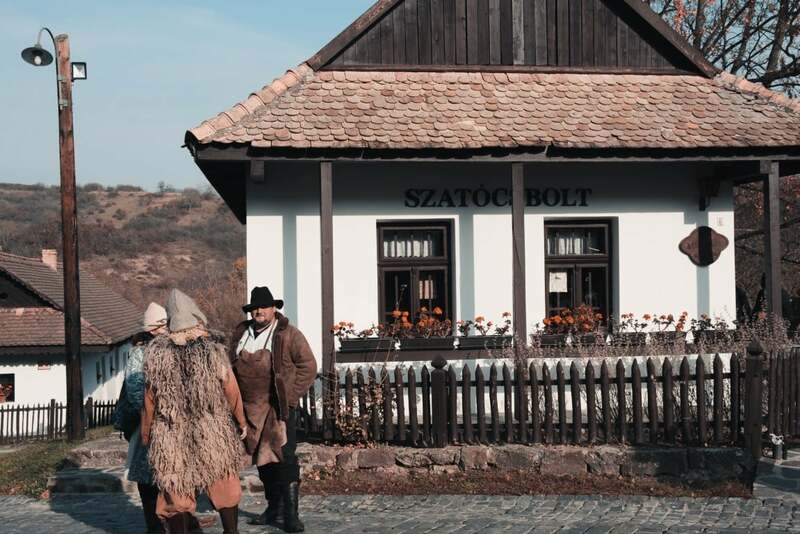 You can also take a train to Pásztó, from where a local bus will take you to Holloko. While this option is not ideal, it is still easily manageable even with kids. The total ticket price would cost you a bit more than $20. You can buy your ticket online. You can buy train tickets in Hungary with MAV or bus tickets with Volan Bus. If you don’t feel confident about booking your ticket online you should try to call or email them. 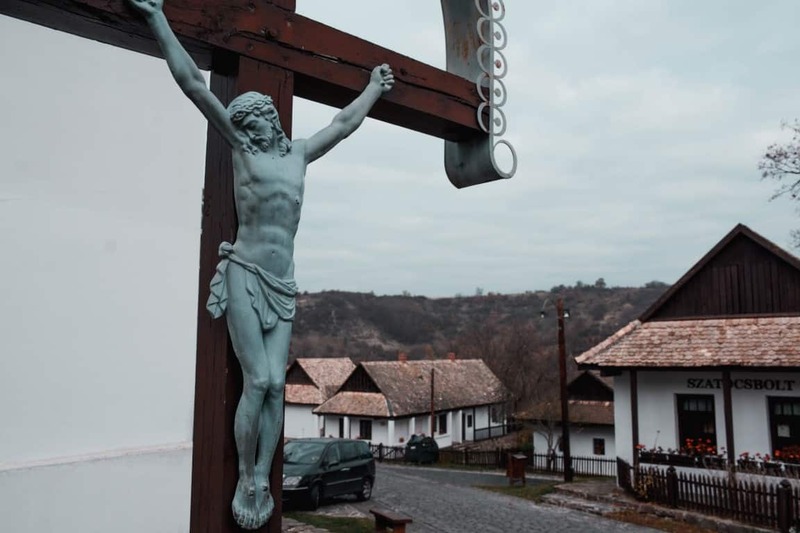 Don’t forget to gather information on connections as you may end up waiting up to four hours for the bus taking you to Hollókő. The other option is to hop on an intercity bus to Szécsény and change to a local bus. While you may face difficulties if you can’t speak Hungarian (which you probably don’t unless you’re one) you will be able to buy the ticket or to gather basic information in English or German as well. Your other option is to book a taxi. You can find a one-way ride for about $100. If there are 4 people traveling the cost would be only $25/person. Get Transfer is a reliable taxi service in Budapest, don’t forget to ask about their fixed price offers when you contact them. How to get to Budapest? 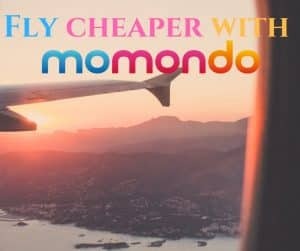 You can find the cheapest flight tickets on Momondo. Where to Stay In Holloko? The best part about visiting Holloko is that you can not only visit but actually stay in one of these traditional homes since many of the residents let their homes. While these houses were refurbished over the years the authentic architecture and interior design remain the same. 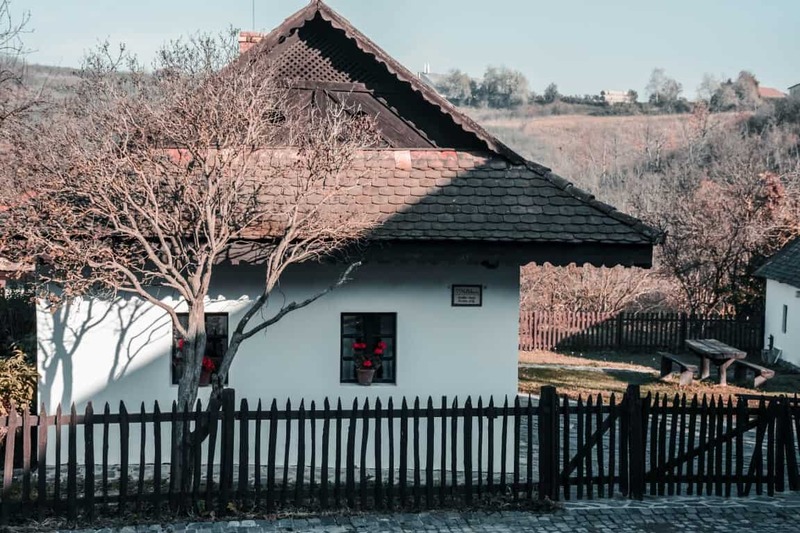 Since the old village of Holloko is a Unesco World Heritage Site the owners and the government are under strict rules about what they can or cannot change on these houses’ facades and interior design. 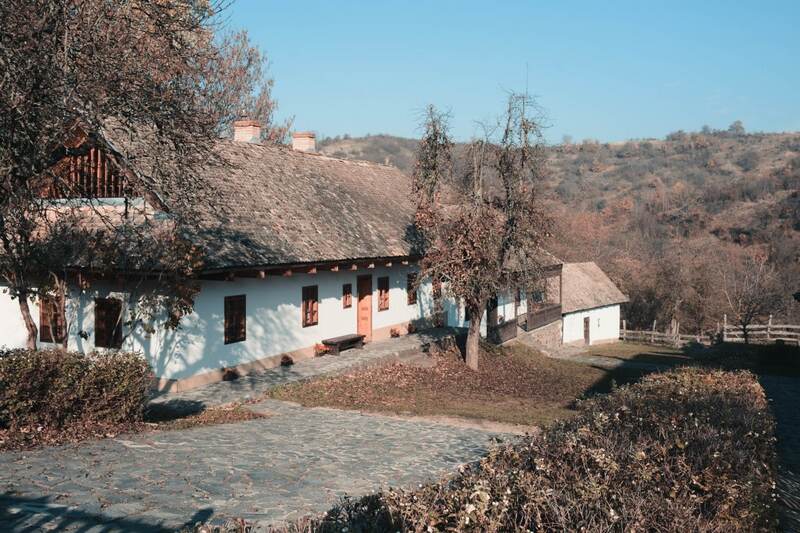 You will find stone ovens and heat walls, traditional Hungarian crockery, furniture and folk design in most of the houses. You can check out Hollokoves to see what kind of houses are available. Feel free to contact them if you have any further questions. 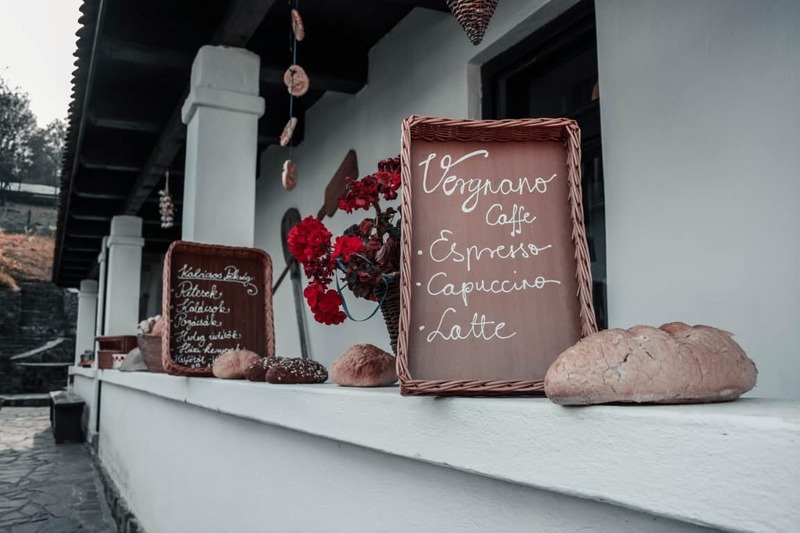 Hollokoves is also a Cafe House and its Owner ‘Peter Kelecsényi’ is a local who also speaks fluent English. He and his team will be able to help you with anything you need to have a perfect visit. 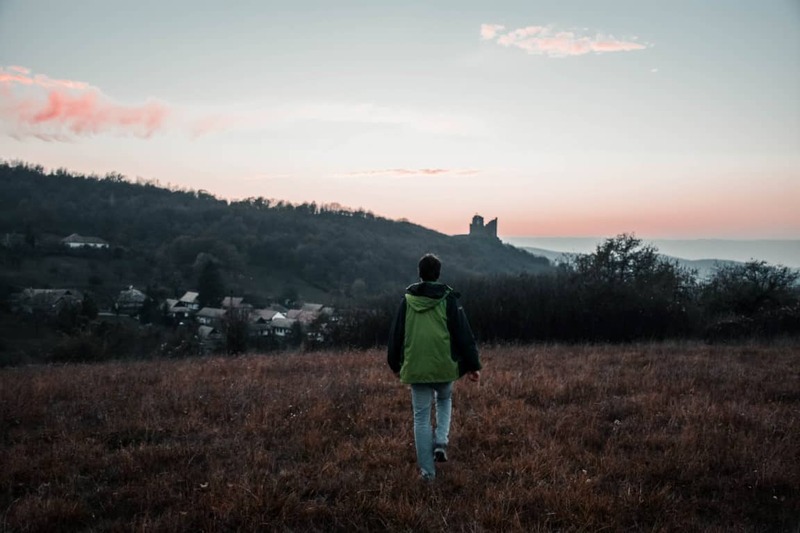 Are you a budget traveler? 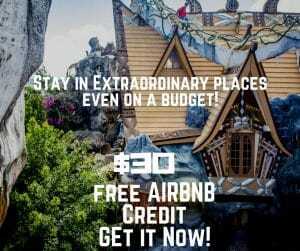 Don’t worry you can book a room for $15/night. All the houses are ensuite (with hot water), wifi, and have fully equipped kitchens (with fridge, microwave, and oven). So, you can enjoy the authentic design in comfort. 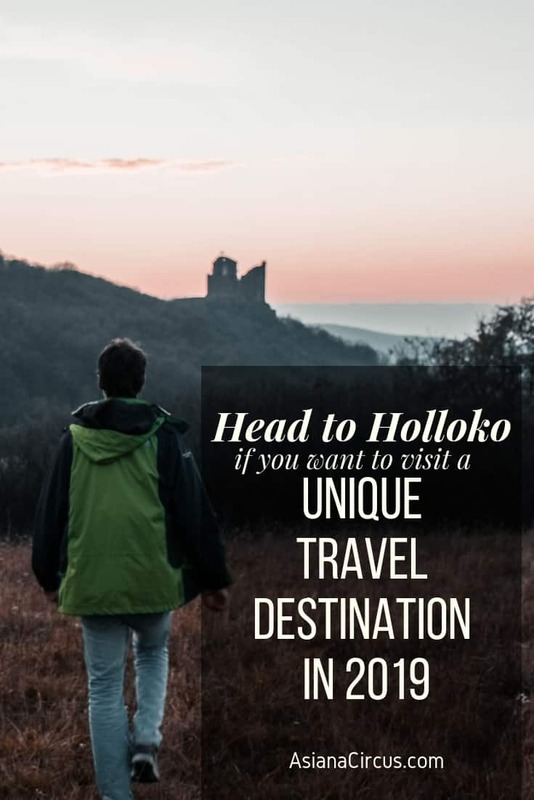 While Holloko is a small village there are plenty of fun places to visit, things to do, and unique activities to enjoy. Here are our top 10 favorite things to do in Holloko. 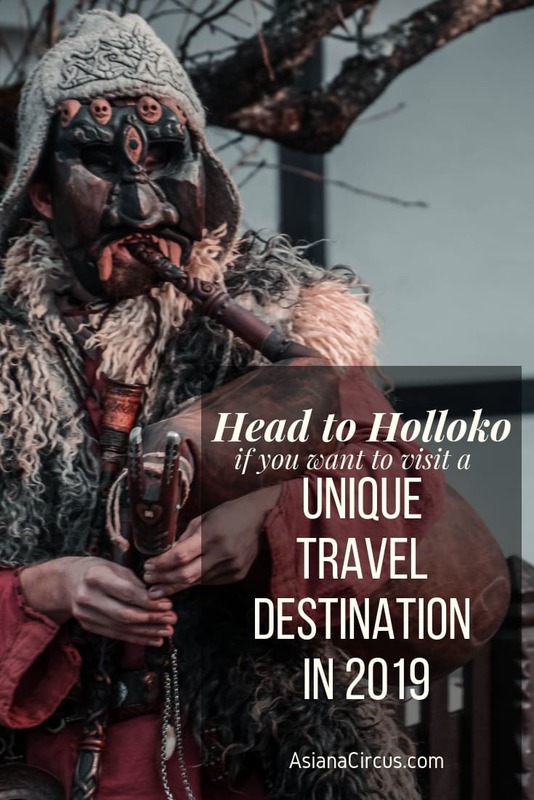 Holloko is a haven for culture and folklore lovers and it’s a pretty unique travel destination for the fans of nature as well. You have various options to enjoy wildlife and the breathtaking countryside. First of, there is a fun educational trail into the woods to explore the area’s flora and fauna. 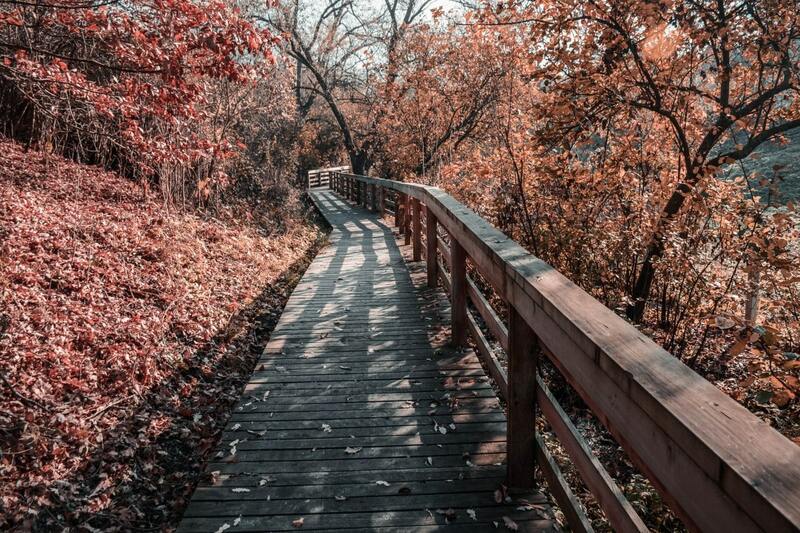 It’s a great opportunity for the whole family to step out and take a few deep breaths of the fresh, crisp air while learning about the wildlife of the area. As it is easily accessible, the whole family can participate in this educational tour. You will see more animals during the spring and summer months but the more quiet fall and winter periods have their own advantages. Get up with the Sun to enjoy the colorful play of lights on the sky above the curvy landscape surrounding the village. 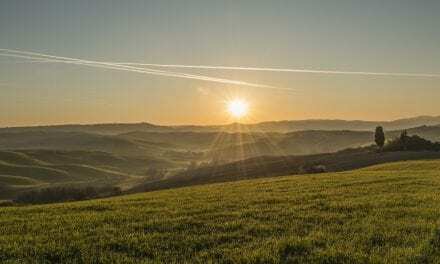 Only fifteen minutes walk from the center of the village you will find quiet meadows where you can enjoy some beautiful sunsets and sunrises over Holloko and its Castle on the hill. You can also go on deer watching. 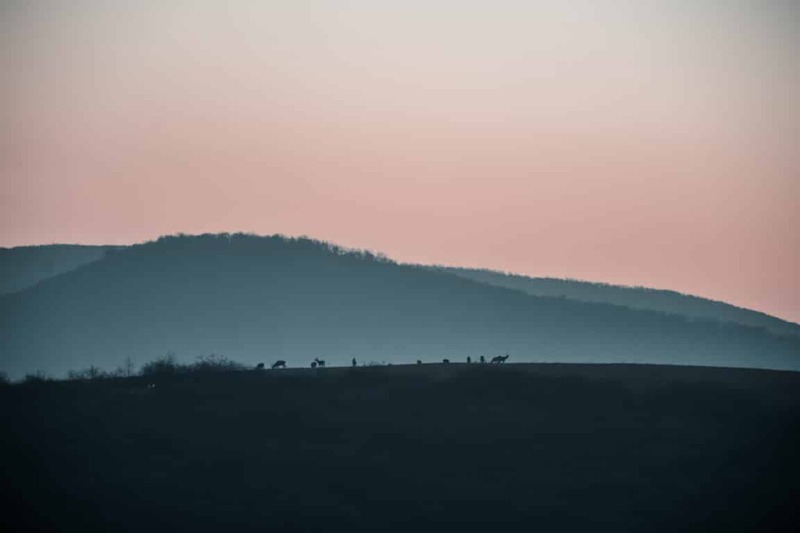 Early in the morning and around sunset wild animals (Deer, wild boars, birds, and smaller vertebrates as well.) 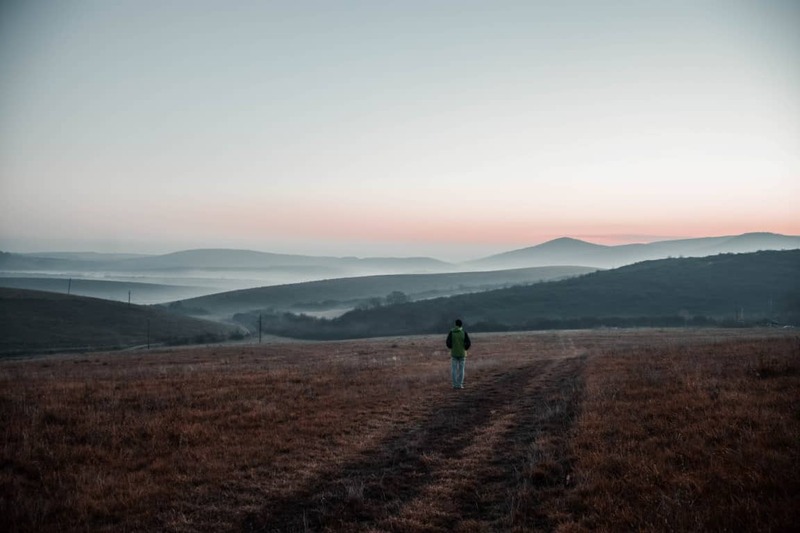 venture closer to inhabited areas. Well, close enough to see them for sure. Actually, wild boars tend to be even braver which you have a good chance to meet on the streets at night. Please, don’t forget while these animals can be cute and beautiful they’re still wild animals. So, act with caution and respect towards them if you want to move closer to them. 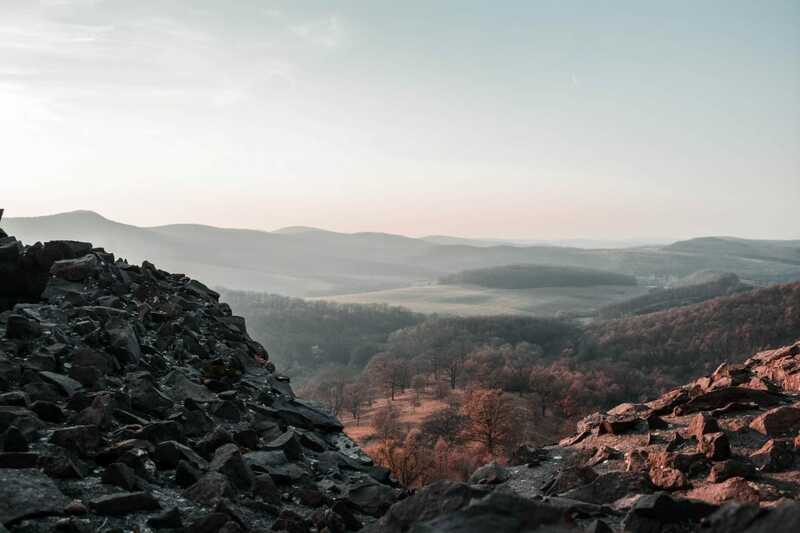 If ready for the challenge, step on the longest hiking trail of Hungary, that takes you all around the country. The blue trail is the longest in Europe and is certainly beautiful throughout the whole length in all seasons. 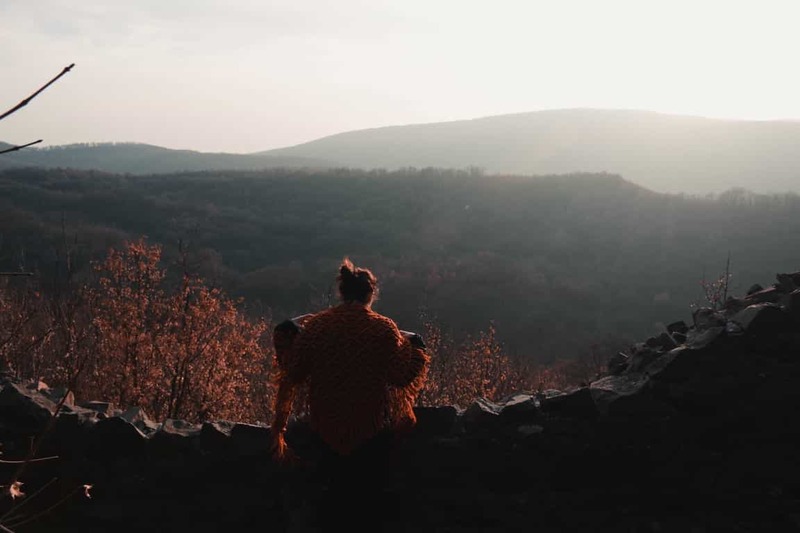 Although, it’s worth remembering that Hungary has four very distinctive seasons and it can get very hot (over 40 degrees celsius) during summer and extra chilly during winter (even -15 degrees celsius). 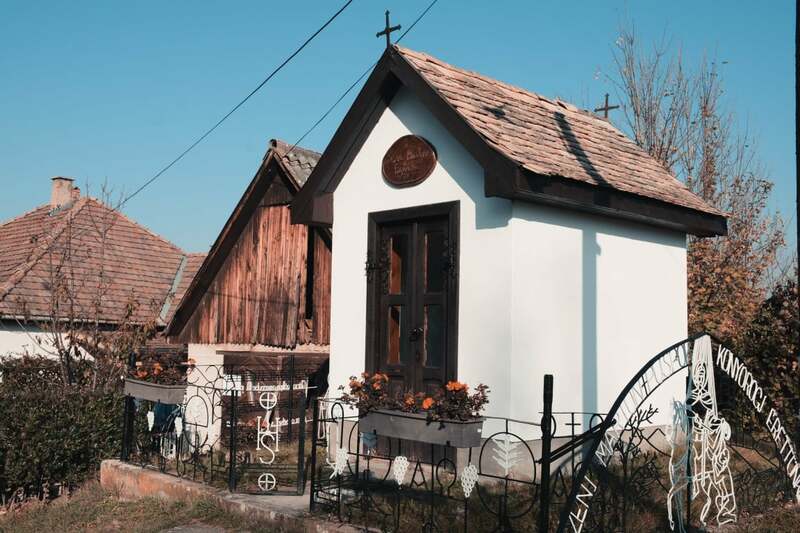 While some of the residents still live in the old village of Holloko (most of them moved to the new village) you will mainly find guest houses, museums, restaurants, shops, and the St Martin Church in the old village. It’s true that there are many museum houses in Holloko, but it’s important to know Holloko is not a museum village but a living community protecting and caring for the old village which provides them a space for jobs, community, and spiritual fulfillment. 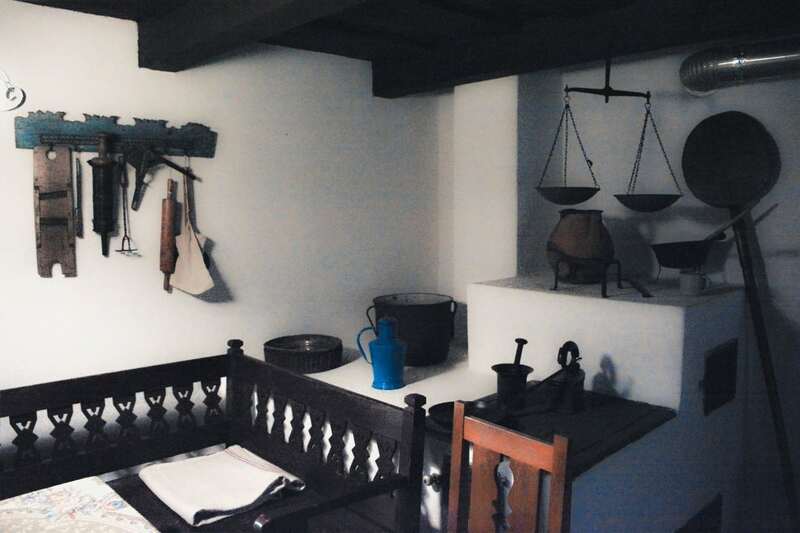 You will find dozens of interesting little museums in the village showcasing the life, history, and traditions of this Palóc village. 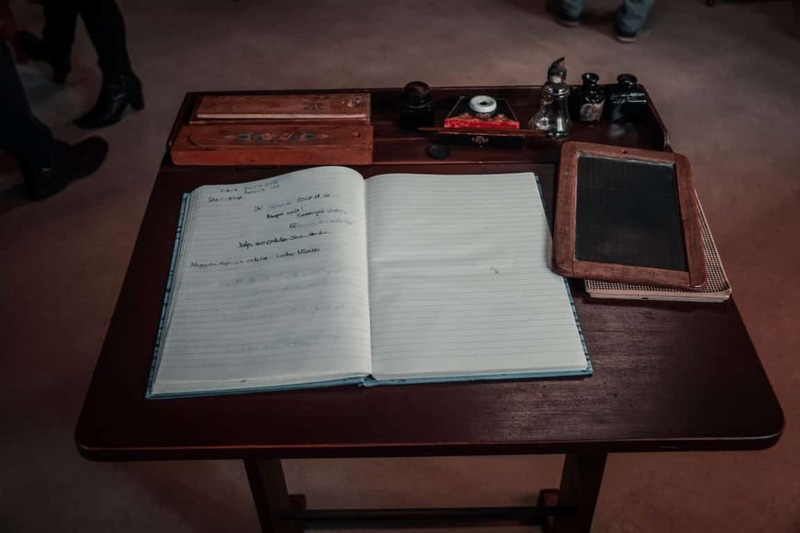 Pop into the ‘School Master’s House‘ to see how our grandparents were educated. 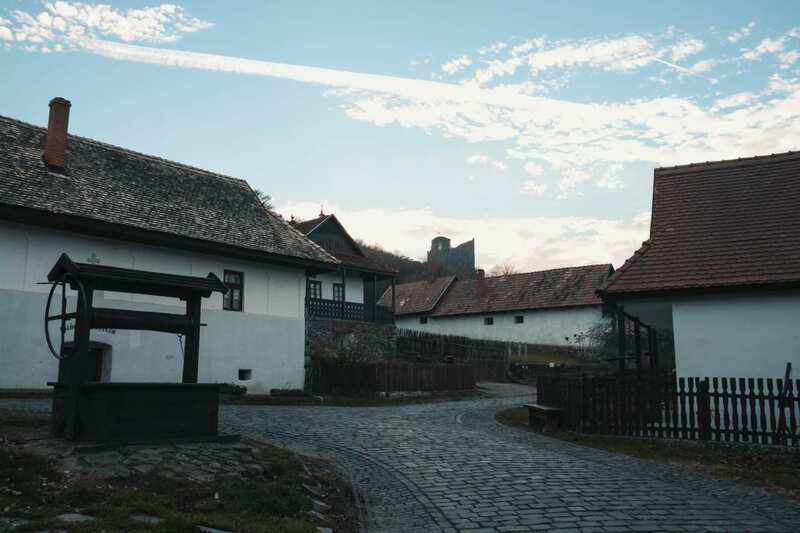 Print a page for yourself just the way Gutenberg would have in the ‘Craft Printing Museum‘ or find out how different dresses were worn at the ‘Palóc Doll Museum‘. Even the shops kept their authentic design and traditions. The ‘Bakery‘ which serves food to visitors and the people of Holloko as well. You can find here all kinds of freshly baked goods from different types of loaves of bread to cakes and pastries. You can also visit the ‘Pottery Shop‘, the ‘Basket Shop‘, or the ‘Arts & Tea House‘. One of the best places to visit with kids is the ‘Paloc PlayHouse’ where the smaller ones can play in the playground with authentic wooden toys and where you can buy handmade wooden toys and various gifts. Holloko is a very exciting spot for wine lovers. 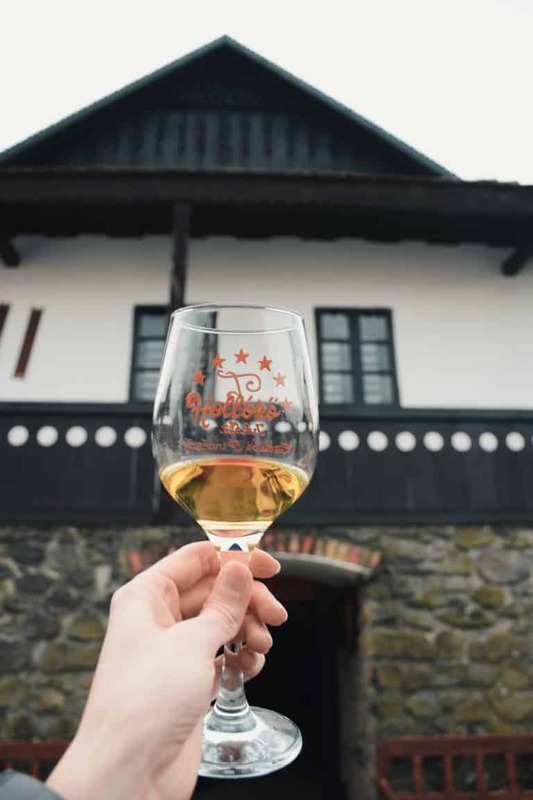 The two most famous wine region in Hungary are Eger and Tokaj but you’ll be able to try some really good quality wine in Holloko as well. As the region is quite rich in minerals and the overall conditions are great, this area is particularly great for winemaking. 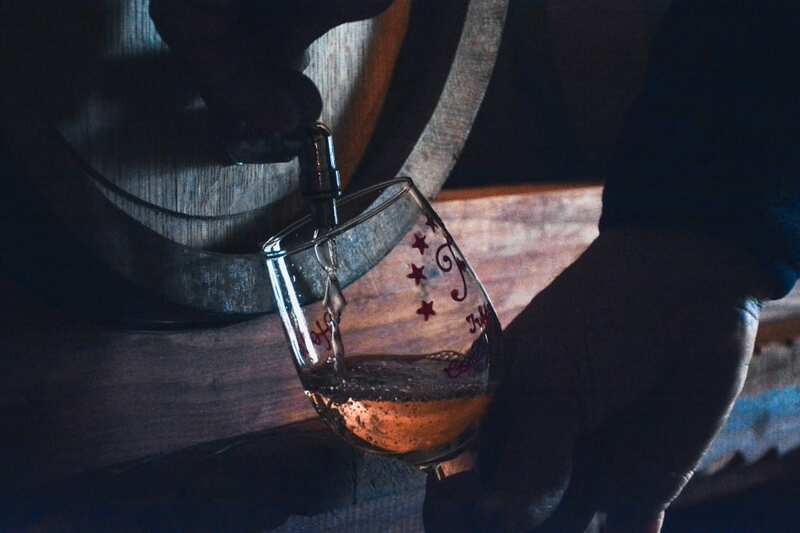 Despite the majority of the new generation discontinued winemaking, we are lucky enough to find a little cellar in the village where we can taste and buy local gems. 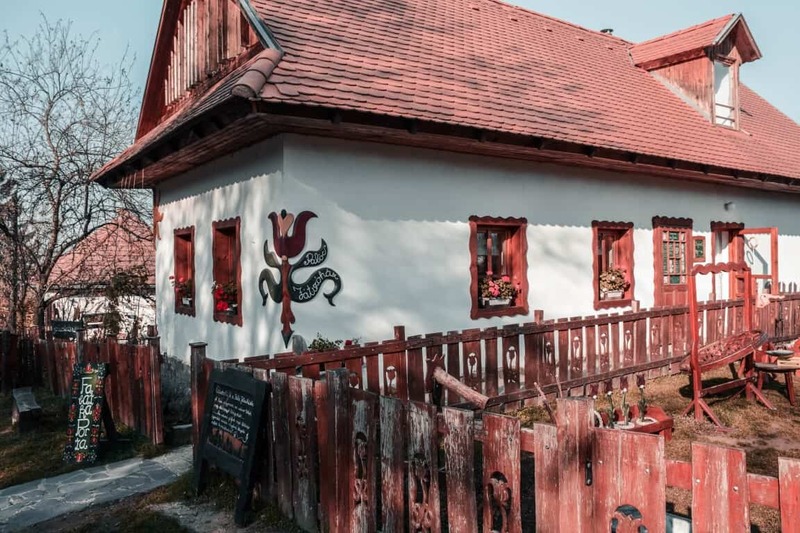 The cellar itself is in a traditional design and it’s owned by the Juhasz family who don’t only sell wine but also make their own. 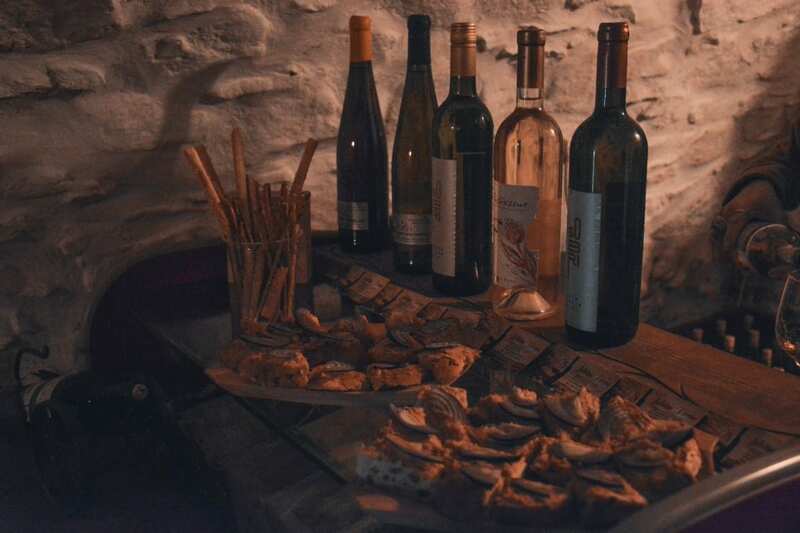 You can taste here a wide variety of white and red wines in a one of kind ambiance. 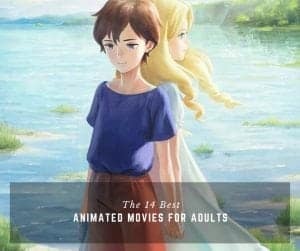 The best part is? The wine tasting is free even if you decide not to buy anything. However, you will probably leave with more than one bottle of wine since the quality is high and the prices are low. You can buy a collectible quality white or red wine from as low as $18 a bottle. Not to mention that a good bottle of wine is a perfect gift for friends and family as well. Stand on top of the world (or at least Holloko) in the castle of Holloko. It is a nice hike getting to the top of the hill by the village. 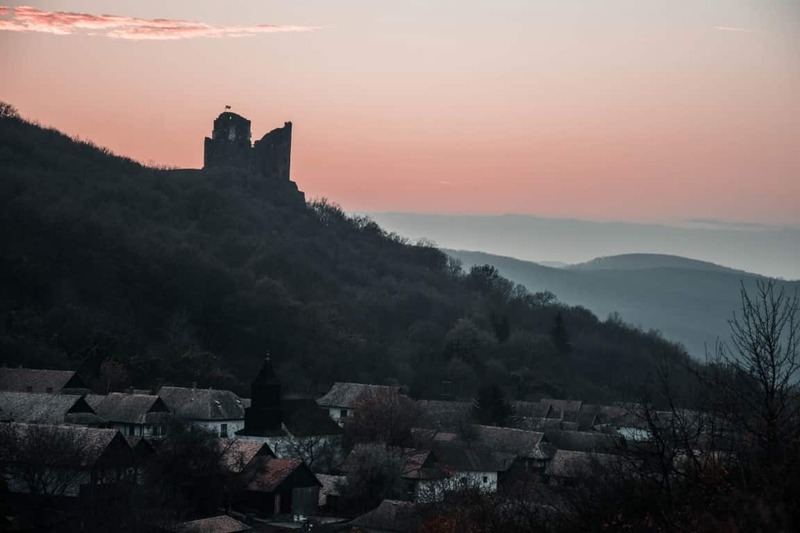 Besides the obvious rewards of the hike, you get to enter the wonderfully preserved castle and the stunning view on the hilltop. 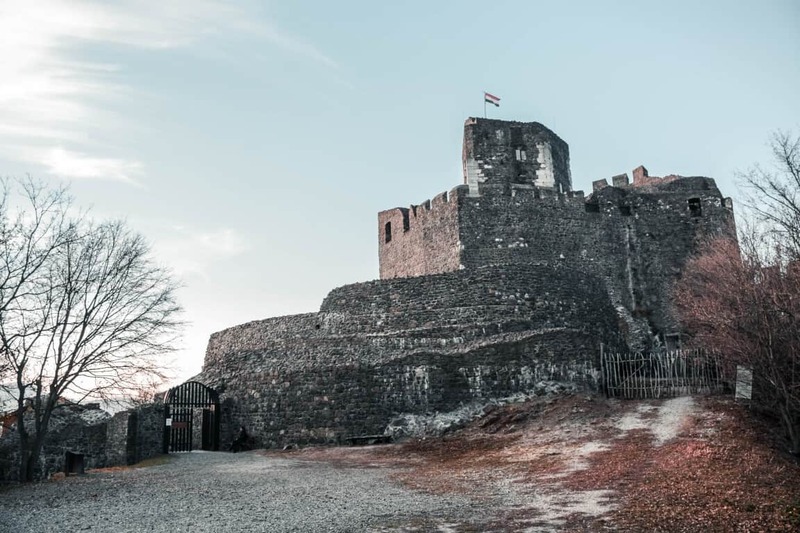 It was built in the 13th century, demolished in 1711, then the excavation and rebuilding began in 1966 and ended in 1996, when the Holloko Castle finally opened its iron gates to the public. 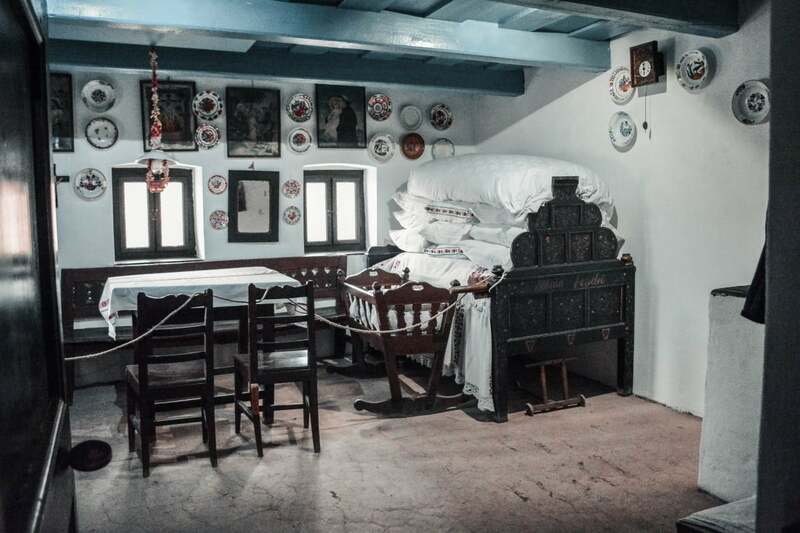 Within the ‘Castle Museum‘, you will find the ‘Waxwork Museum‘ also known as the ‘Kacsics Family Room’. 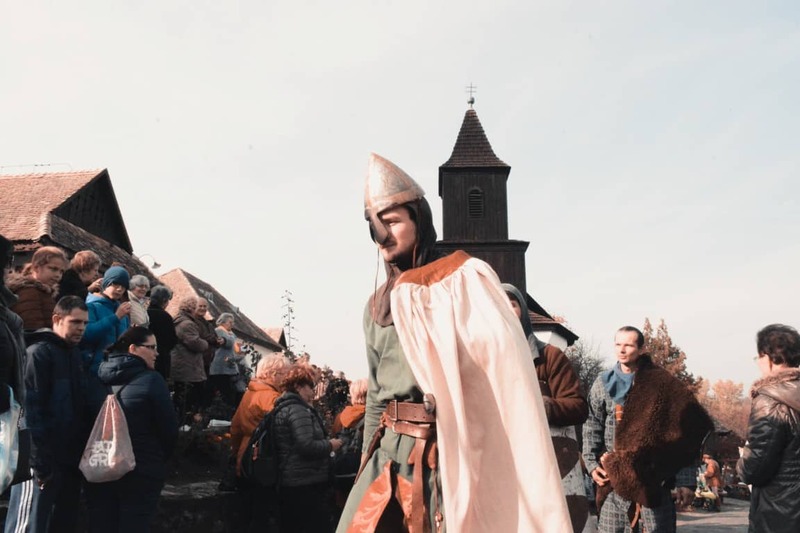 There are seven characters from the 13th-century wearing 1200’s dresses concluding Western and Eastern styled clothes and public costumes of the time. 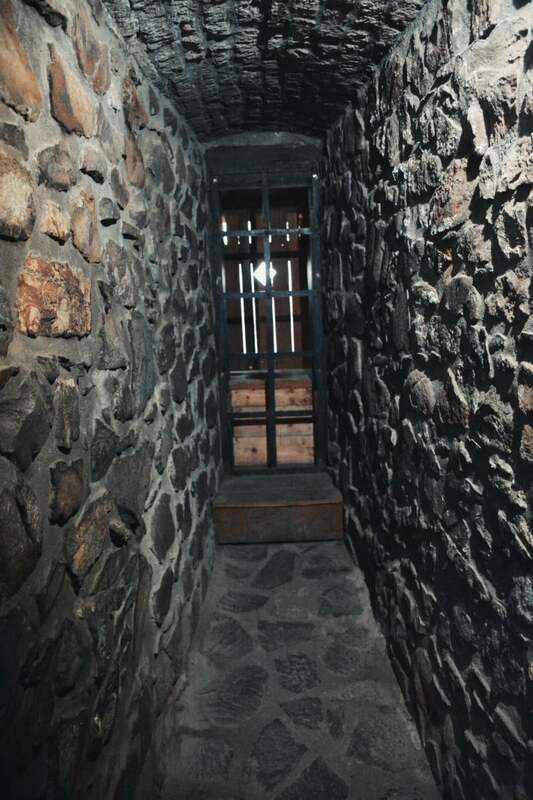 There is also a ‘Weapon Room‘ and the ‘Castle Chapel‘. 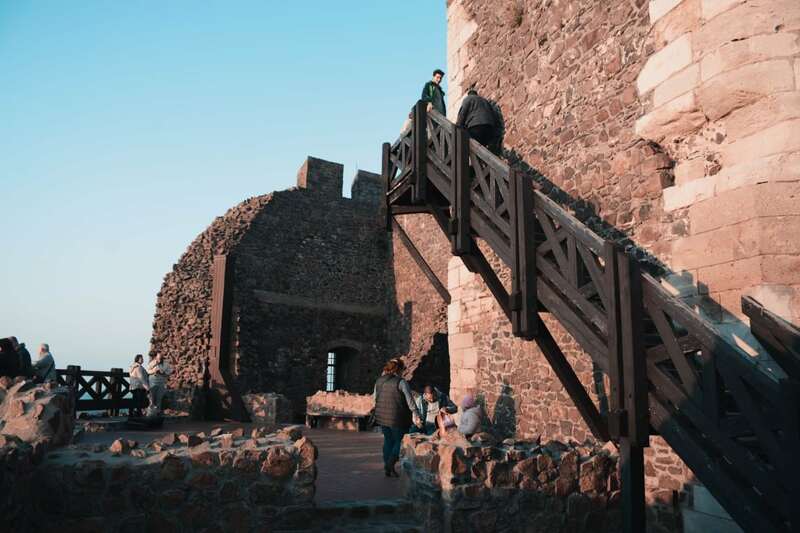 While walking around you will get to discover how people lived in the middle ages and can enjoy the graceful view from the top of the ‘Castle Tower‘. 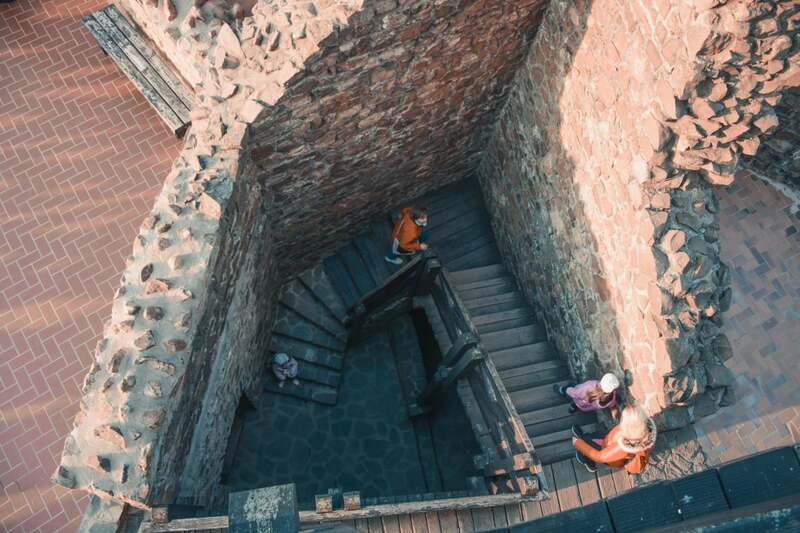 The Holloko Castle is open every day from March until the end of October. Entrance Fee for Adults: $4. 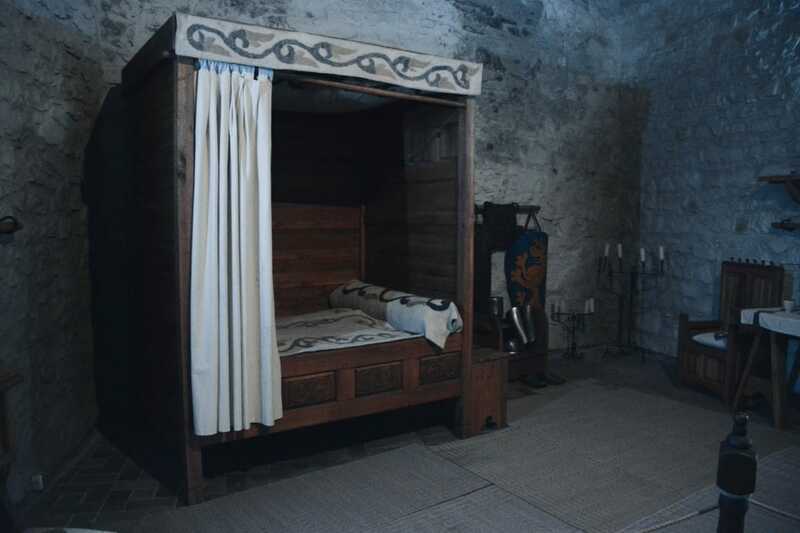 “…where even the king goes alone.” AKA toilet back in the Middle Ages. 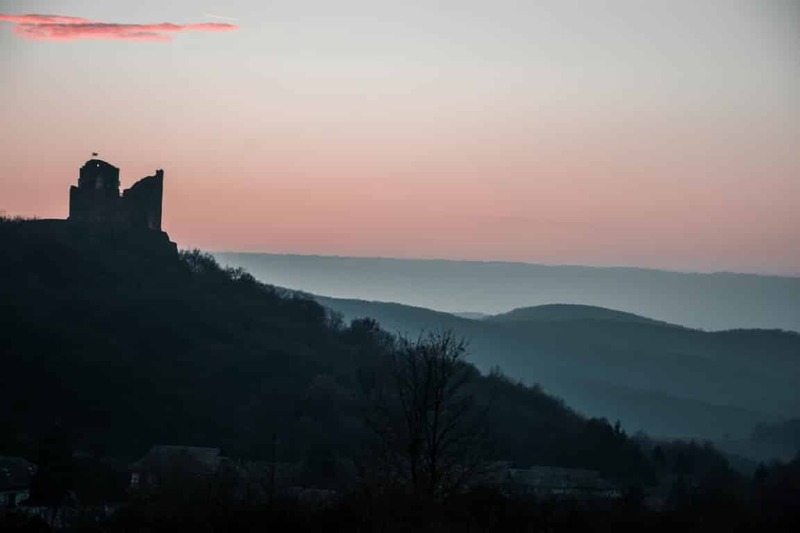 One of the castle’s myths gave the name, Holloko (Raven Stone) to the village. When the castle was being built, the local Lord kidnapped a farmer’s beautiful daughter. 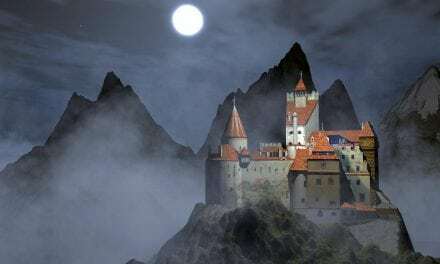 The builders kept on building the castle including the lady’s jail, however, she had a witch nurse, who secretly made a pact with the Devil to protect the young girl and to help her escape the evil ‘Lord of the castle’; Andrew Kacsics. The Devil sent hell creatures in the form of ravens to take the stones away, until the wife could succesfully escape. 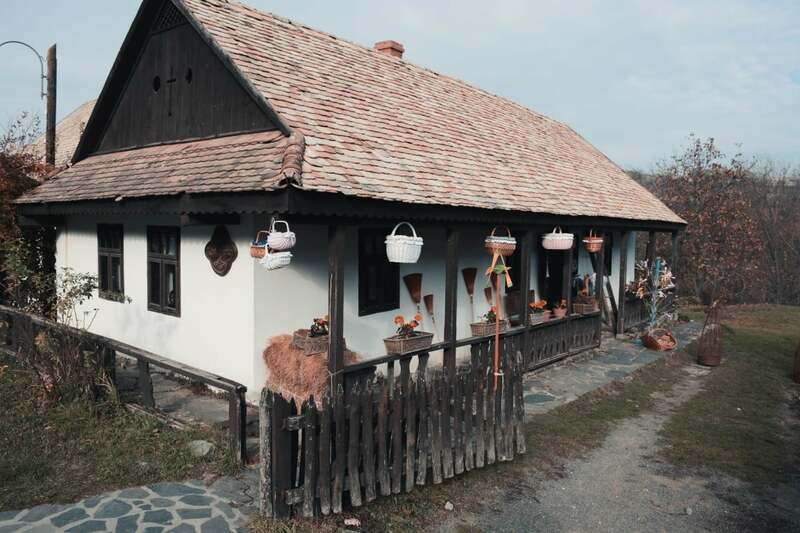 The ‘Dance House‘ is one of the most important places you shouldn’t miss in Holloko. Here you can put on the traditional Palóc costumes for only $35. 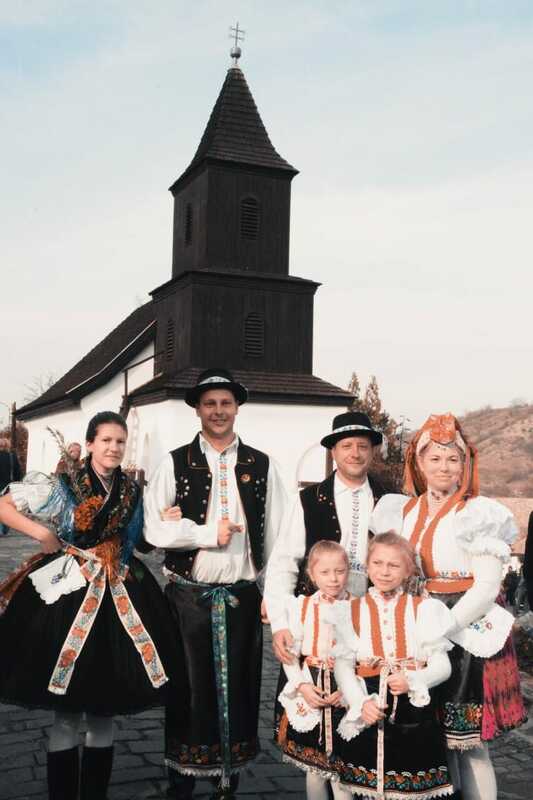 It’s One of Holloko’s most unique experience since there is not many places around Hungary where you can wear these beautiful, handmade traditional pieces. Make sure to take good care of the costumes while wearing it. 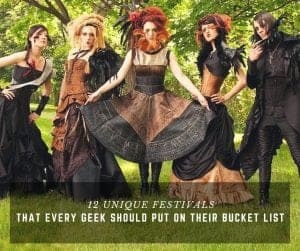 These are all handmade and rare costumes. Most of the dresses here cost more than $500/piece. 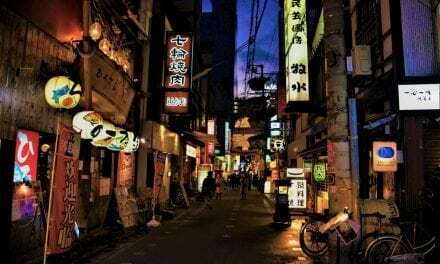 It’s a great chance to really immerse yourself in the local culture and of course, to shoot some really good images for your Instagram as well. Don’t be surprised if other visitors will want to take photos with you while walking around the village. These costumes will grab the attention of everyone in sight. It’s also a good opportunity to make fun photos of the family since you can rent costumes not only for adults but for kids as well. 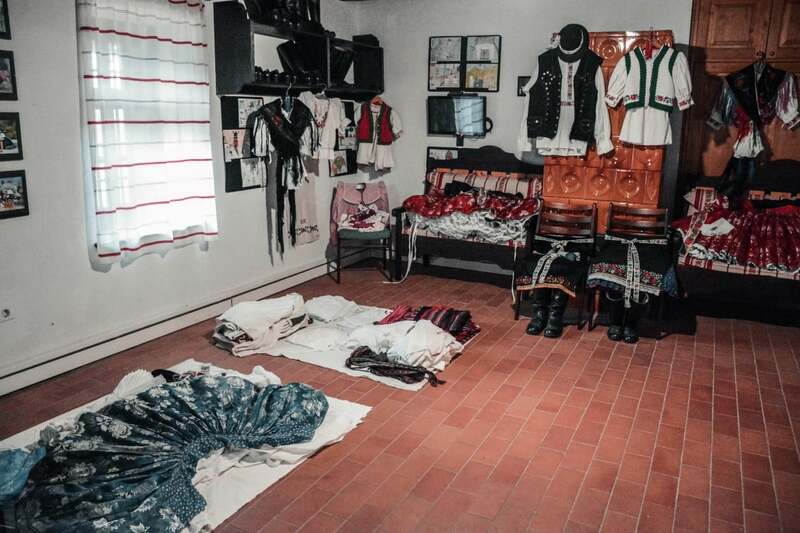 Don’t just try on these costumes but learn a bit of Hungarian Folk Dance while you’re at the ‘Csalogato Dance House’. 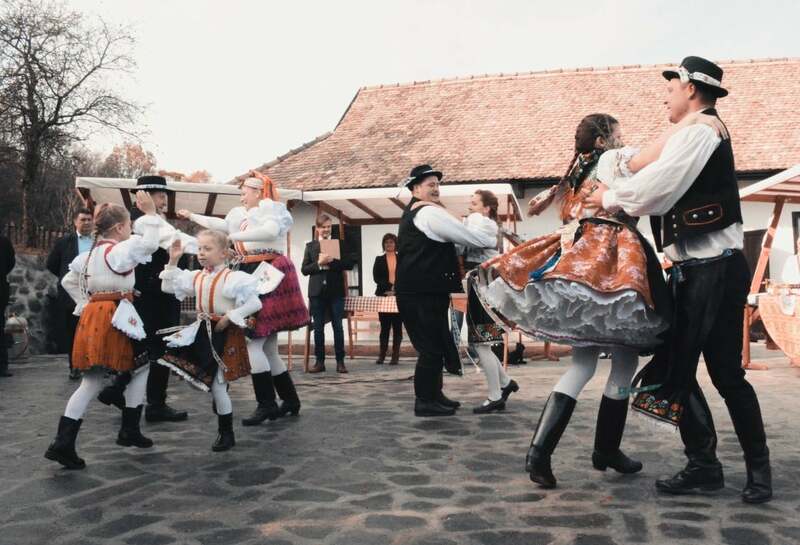 While you can only enjoy the show of professional Hungarian Folk Dancers during a festival or a special event, you can get a little taste of it at the ‘Dance Houe’. You can also rent the Dance House for events or ask for private folk dance lessons. 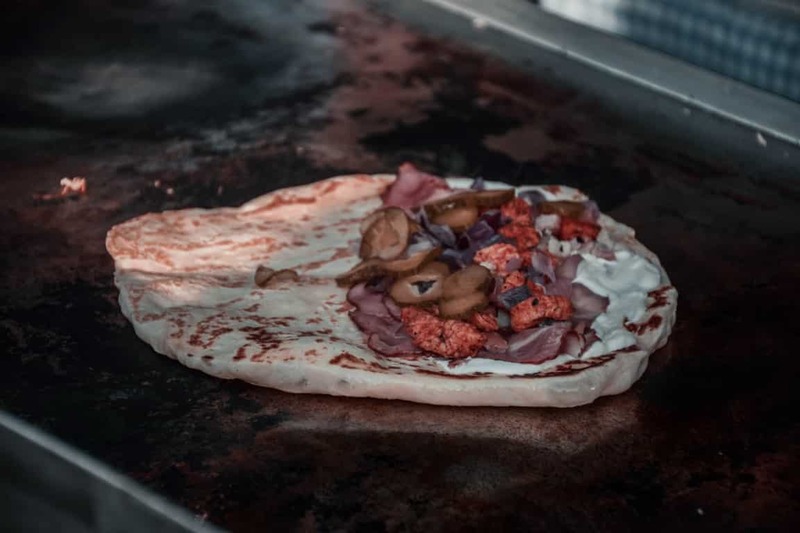 You can book these in advance with the owner Attila Seber. 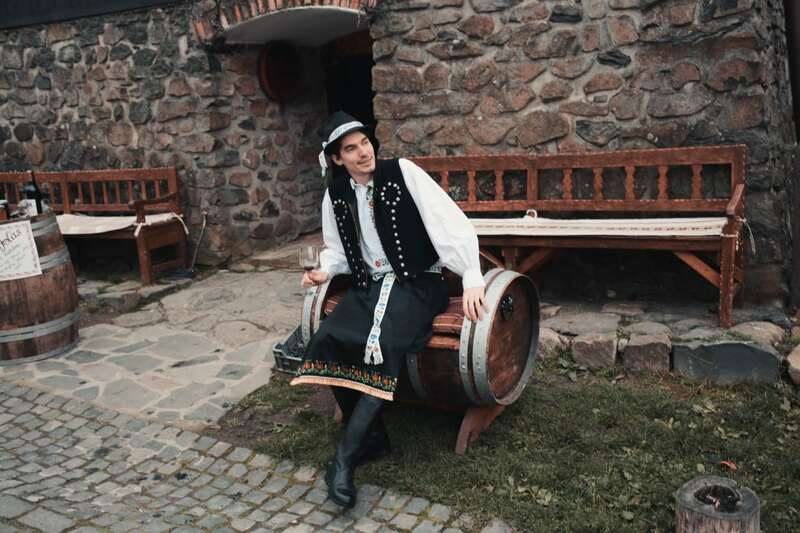 Attila is also a trained Folk Dancer who manages and trains Holloko’s Folk Dance Group. To make sure you don’t shy away from this unique experience we advise to visit this place after you had a glass of wine (or two) at the ‘Borpatika’. The Hungarian Folk Dance Group of Holloko performing during the opening of the ‘Holloko Market’. 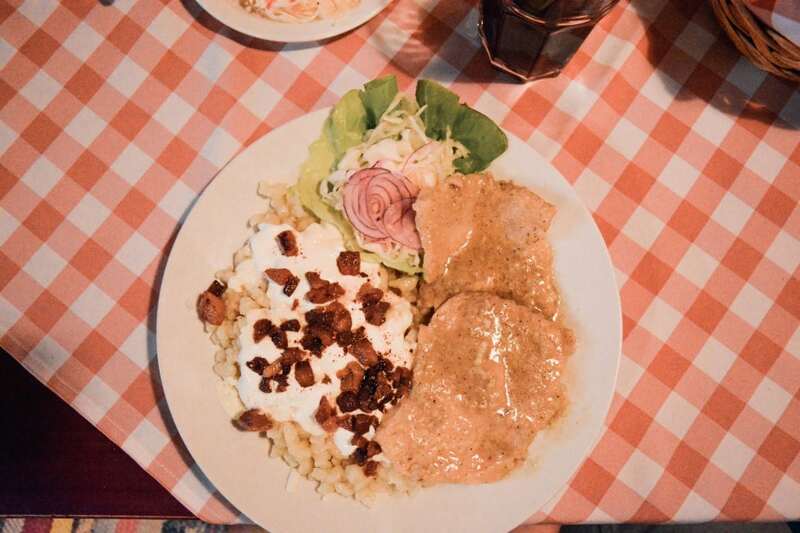 Enjoy the best of the traditional Hungarian dishes in an authentic setting in one of the village restaurants. There are two lovely little restaurants in the center of the village. 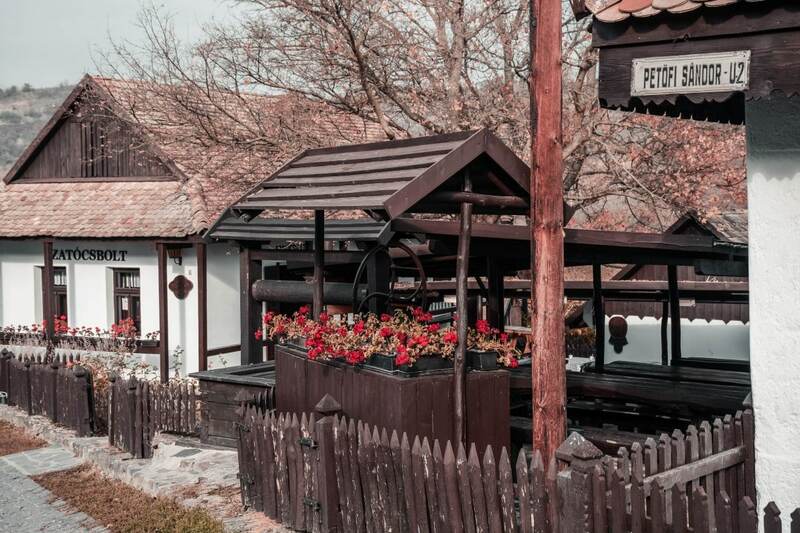 Both the ‘Muskatli Restaurant‘ and the’ Castle Restaurant‘ serve typical Palóc dishes along with delicious sides and desserts. You can have a 3-course dinner for two with drinks for $35 or less. In case you’re craving something sweet during the day visit the ‘Bakery‘. You can buy freshly baked goods from $2-3. 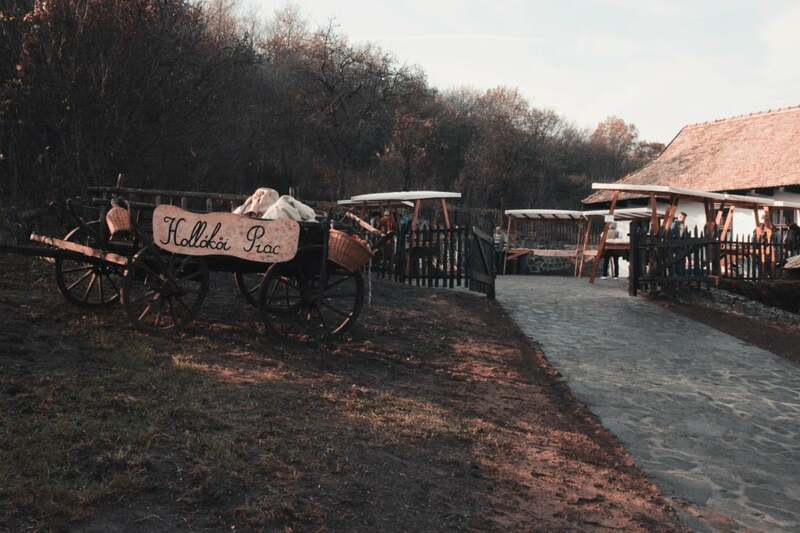 For a cup of coffee or tea with some hearty Hungarian breakfast visit ‘Hollokoves Cafe‘. You can buy a cup of coffee and a dish for less than $5. ‘Chicken Broth Soup’ (Húsleves) with carrots and angel hair noodles at Muskatli Restaurant. Paloc Roast with Túróscsusza and pickled veggies at Castle Restaurant. 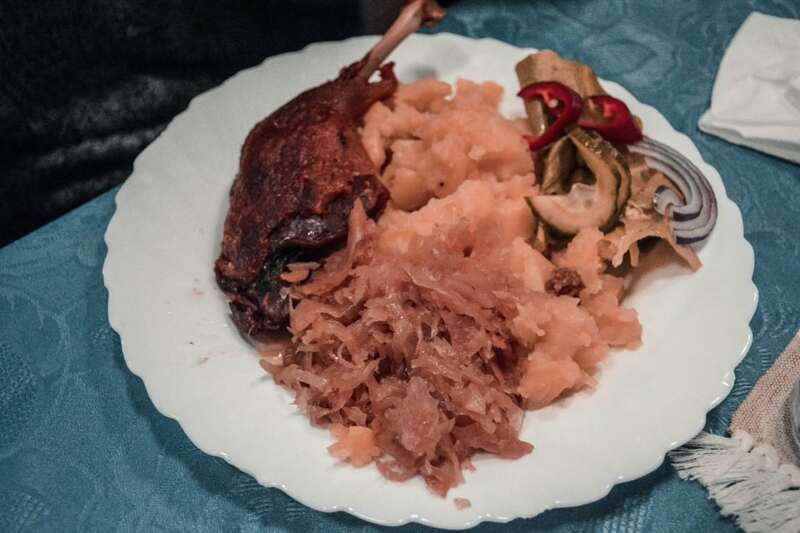 Roasted duck leg with cabbage, potato, and pickled veggies on the side at Muskatli Restaurant. 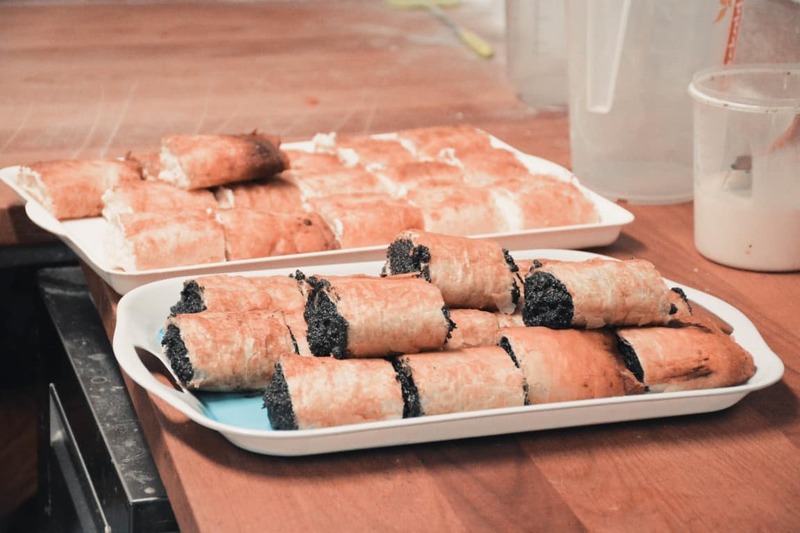 Poppy seed & cottage cheese strudels at the Bakery. If you visit Holloko during a major event, such as Easter or St. Martin’s Day Celebration, you will find this little village in a buzz. As the village’s traditions are tied to religion these holidays bear a high significance in the local’s life. 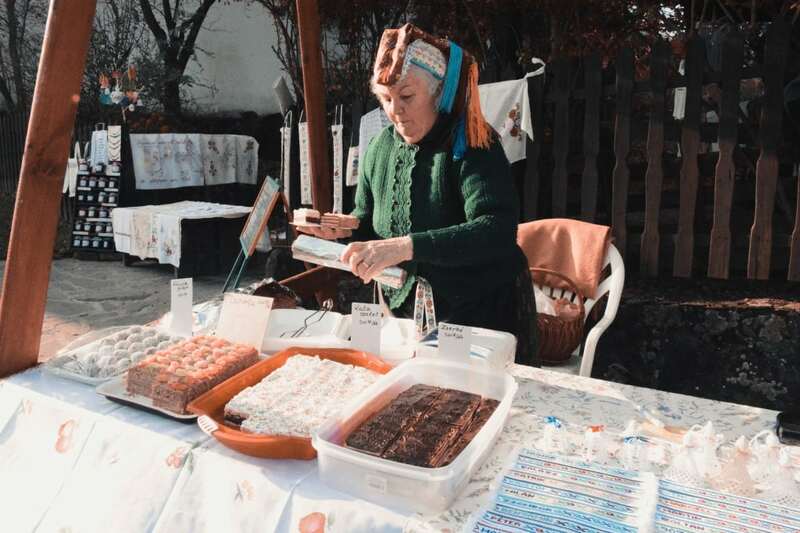 Local Lady selling homemade Hungarian pastry, handmade bookmarks, and other goods. Bagpipe and Hungarian drum performers during the opening of the Holloko Market. 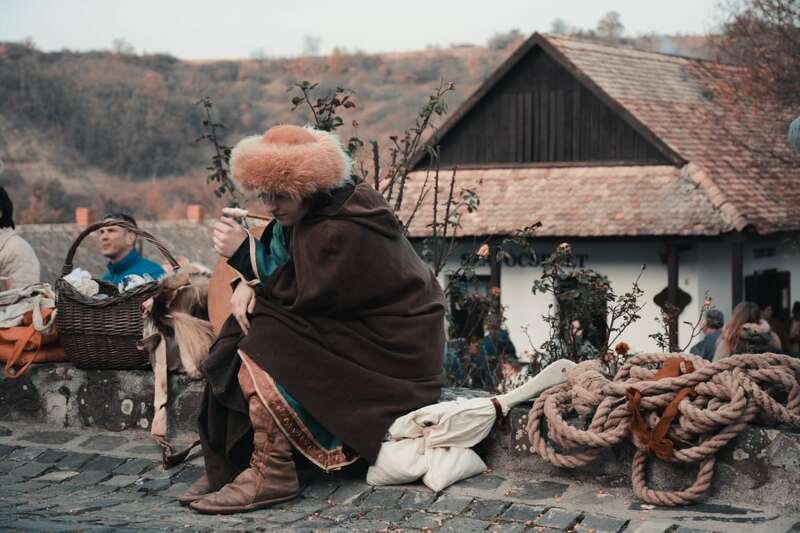 There are thousands of people coming to visit on special events, the local drama group puts related plays on show, and you will find that many locals will attend wearing their traditional costumes even if they’re not performers or vendors but only guests of the event. They all work hard the preserve and to present their culture’s significance to the visitors. 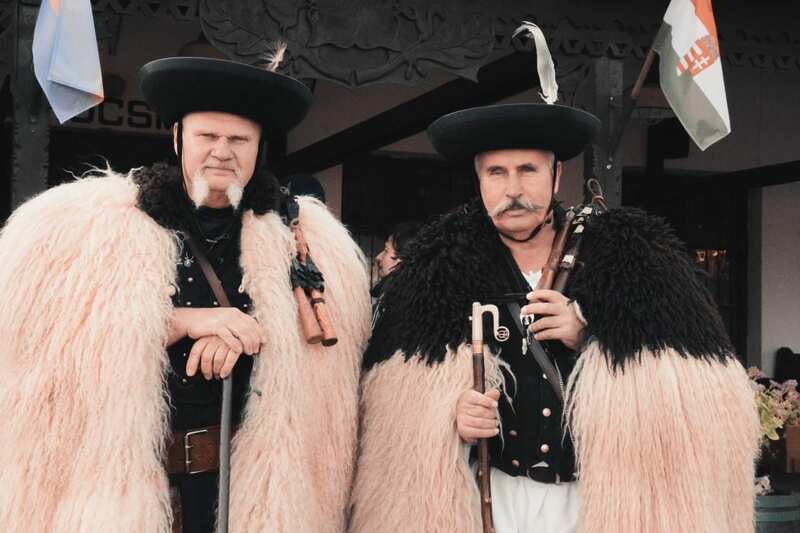 Locals dressed in traditional ‘Shepperd’ wear. 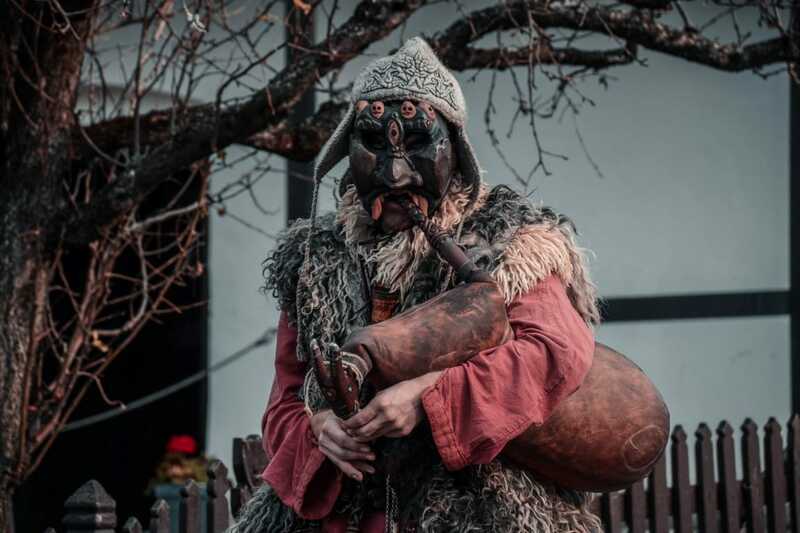 Local performing on Hungarian Bagpipe while wearing a hand-made wooden mask. You can mostly see masks like this during the Buso Festival in Mohacs. 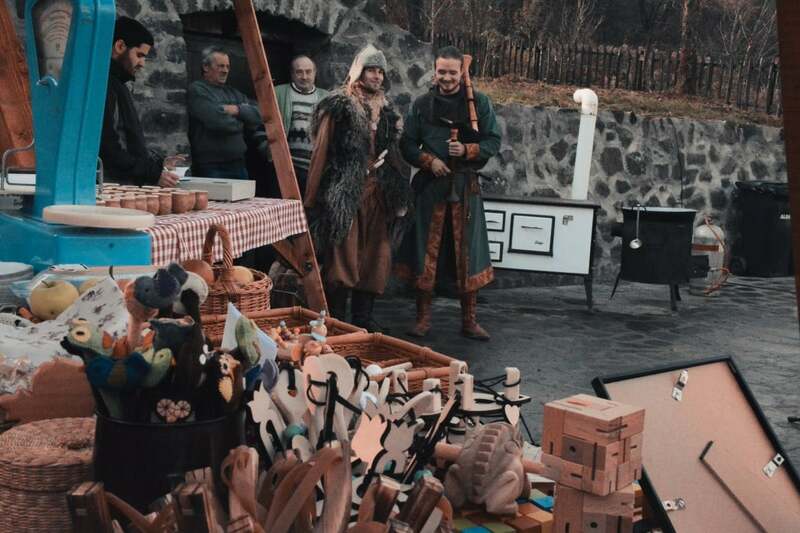 During these Folk Festivals, you can try rare traditional Hungarian street food, buy hand-crafted goods and listen to traditional Hungarian street musicians as well. 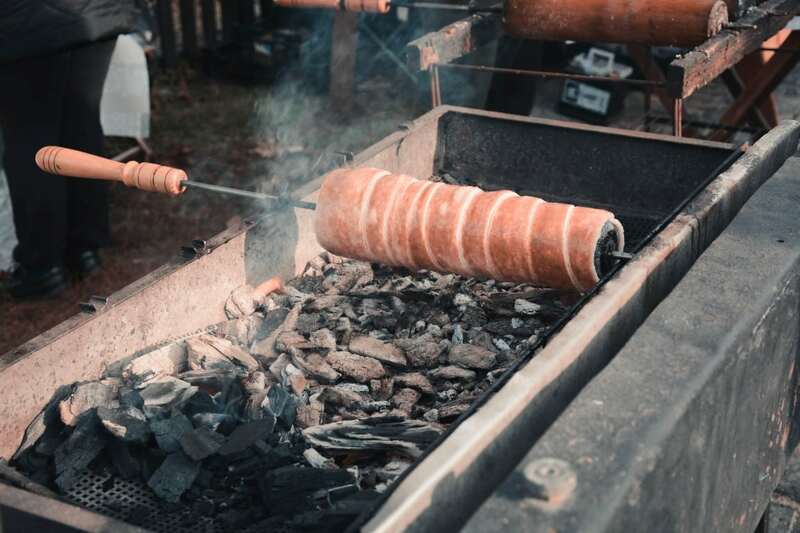 Hungarian ‘lepény’ – Salty pastry dish filled with various ingredients. Usually seasoned meat, veggies, sauces, and cheese. 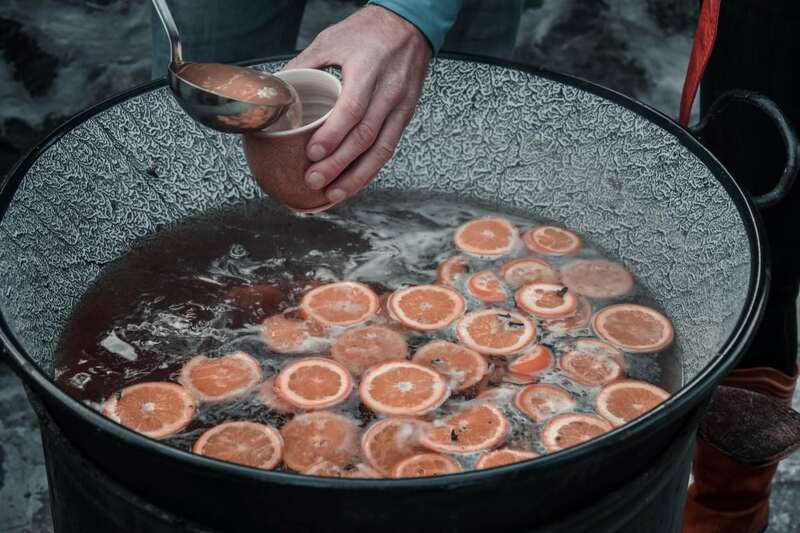 If you visit Holloko winter time you can try one of the most beloved Hungarian winter drinks ‘Mulled wine’. While you can find Mulled wine in most European countries the seasoning can be very different in each and every one of them. You will find here plenty of vendors who sell mouth-watering street food you would have a hard time finding elsewhere in the country. 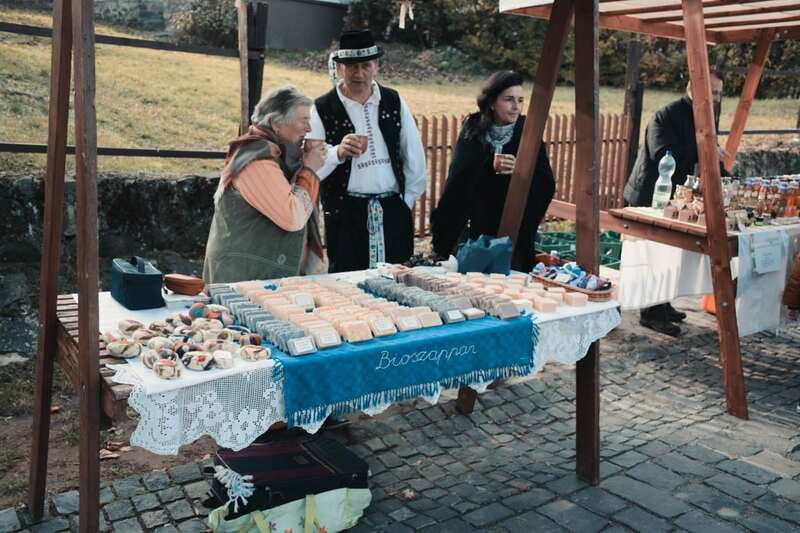 Vendors enjoying some mulled wine during St. Martin’s Day Celebration. 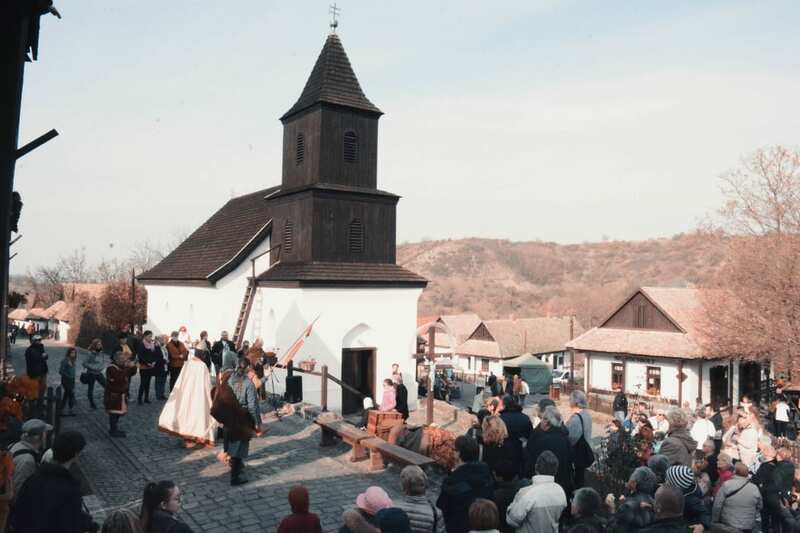 Locals and performers during St. Martin’s Day Celebration. St. Martin’s Day Celebration performer. Local boy playing on the flute. 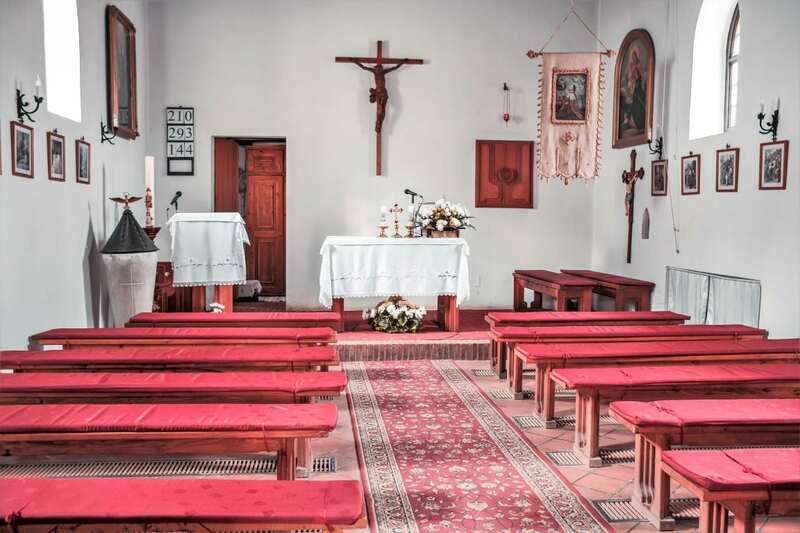 The St. Martin Church is a wooden Roman Catholic Church built in 1889. While the church was built in the 19th century its parish exists since 1342. The Church is not always open however it is still in use. 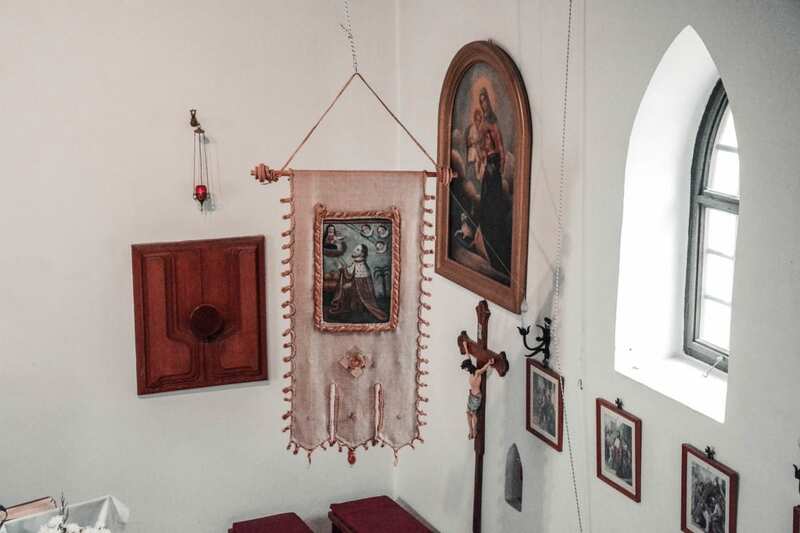 You can even participate in a mass every Wednesday at 16:30 and Sunday at 08:00. To make sure you don’t miss it ask about details before your visit. 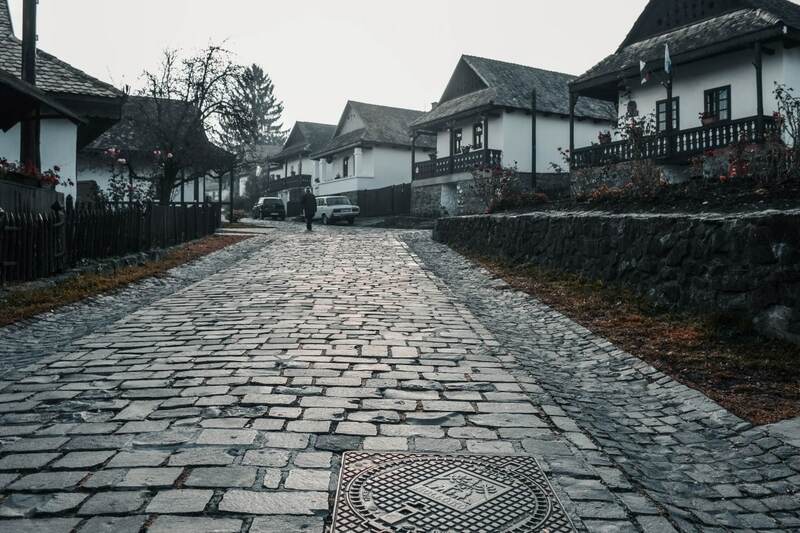 From the first moment you step on the cobbled main street you will be welcomed by the snow-white, traditional houses, the hand-crafted dark, wooden fences, and the charming wooden St. Martin Church in the middle of the village. It’s natual that you have limited time to just wander around during your holiday but Holloko is the place where you deffinitely should do just that. It’s safe, charming, but with plenty of things to discover. Many visitors only do a day trip but it’s worth to stay in Holloko at least for two or three days. Even more, if you want to enjoy a quiet place that’s filled with culture, where it’s easy to find good food, and meet friendly locals. The longer you visit the better understanding and experience you get of the local culture. I would love to stay in a traditional home! 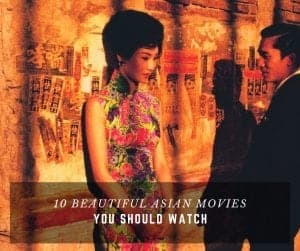 I also love that the festivals have a bewitching quality. You had me at wine, of course. I had no idea that Hungarian wine was a thing. I was already stoked to go, but now I am even more intrigued. 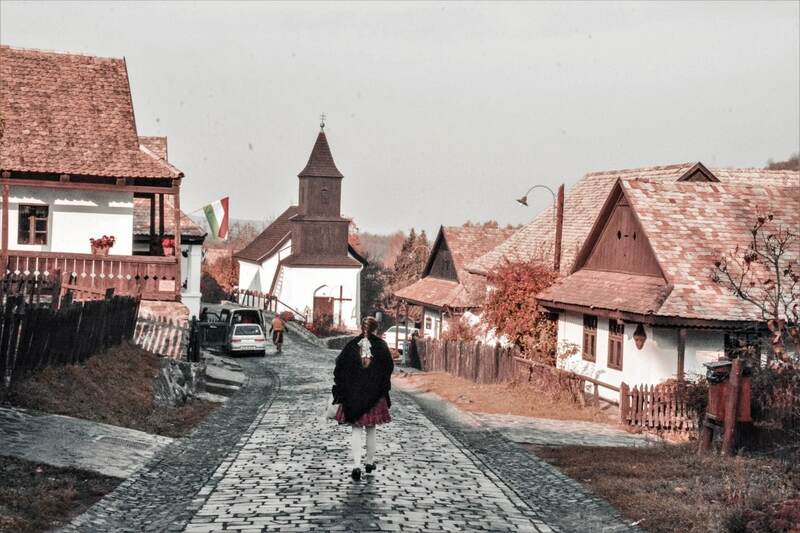 Your pictures are just stunning, and the views have me convinced that we’d love Hungary.